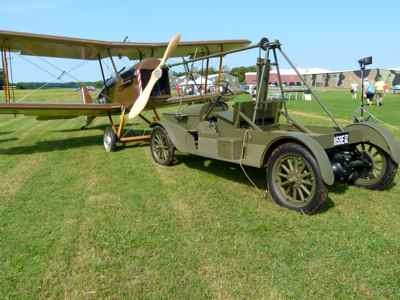 We first went to the Military Aviation Museum Biplanes and Triplanes airshow in 2012. 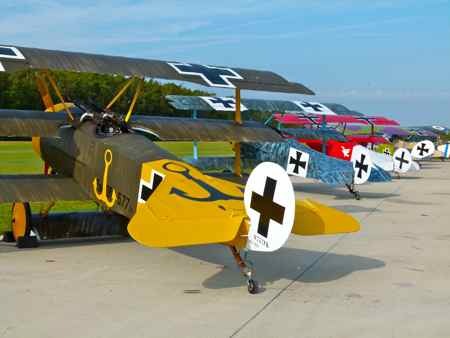 What a great display of WWI planes! ...but it didn’t. 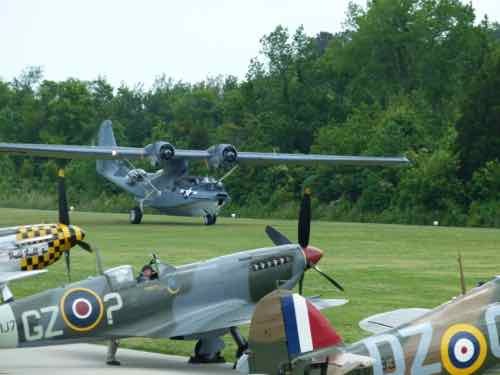 We went back in 2014 for their WWII show and it was terrific. 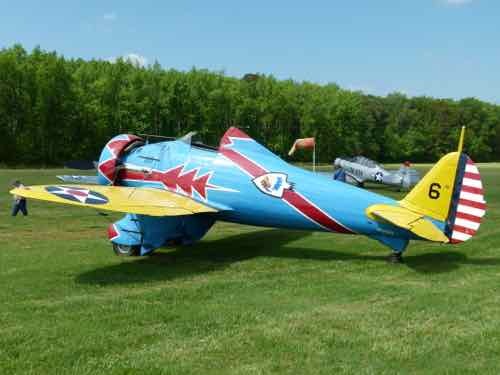 Most of the planes in their collection are airworthy, so the most fun way to visit is to attend one of their airshows. 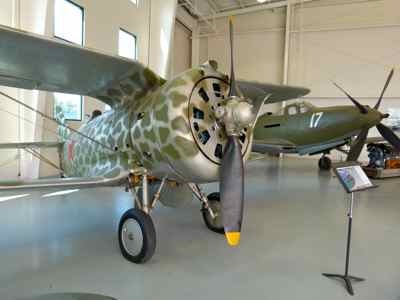 When possible, their planes have been restored using original parts. Many of the early examples are replicas, but there aren’t too many places you can see so many all at once…. and flying! All of our photos can be seen larger by clicking on any of them. Enjoy. Their WWI show is generally in the Fall… early October. 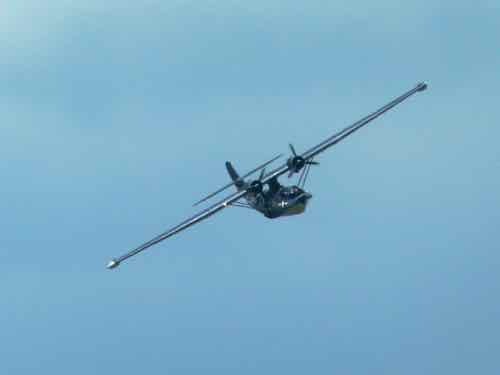 ...can’t chance flying some of those little old birds in nasty winds and rain. 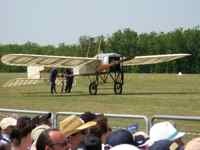 But if you can get there you'll have lots of fun seeing those old Biplanes and Triplanes fly. 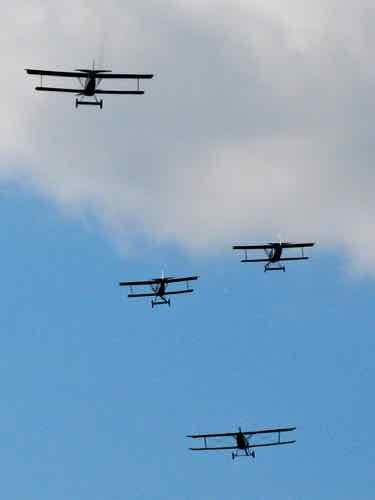 There are re-enactments on the ground and in the air. 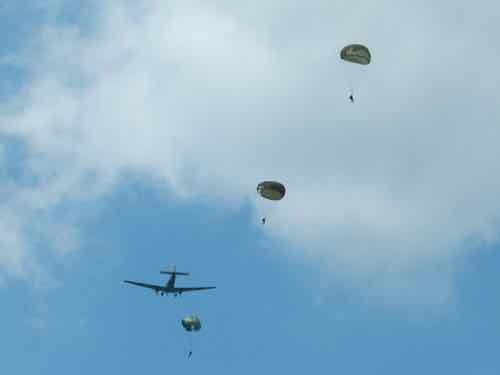 Want To See Them On The Ground? There is equipment on display too. 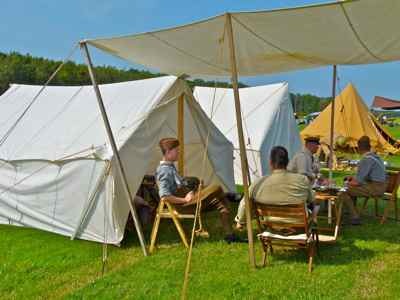 There are shows with singers and comedians, and there are the reenactors. 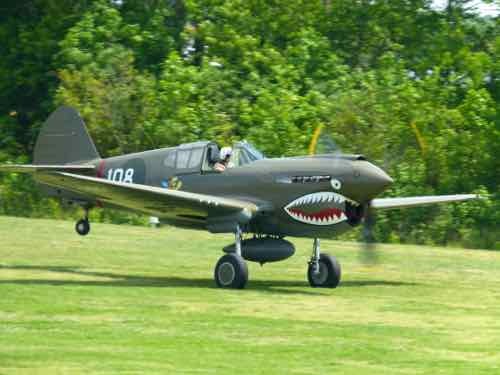 Their WWII airshow is in May. 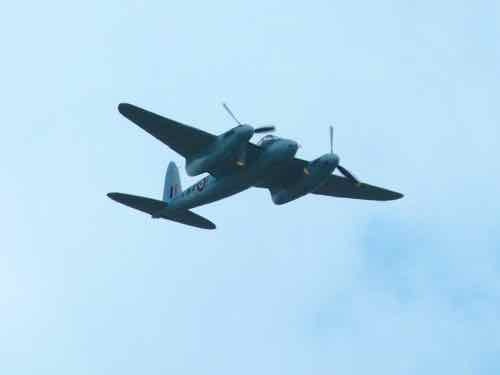 We’ve been to that too… to see the Mosquito fly. 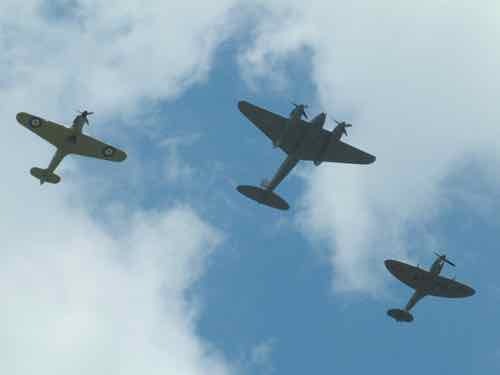 ...along with their Hurricane and Spitfire. 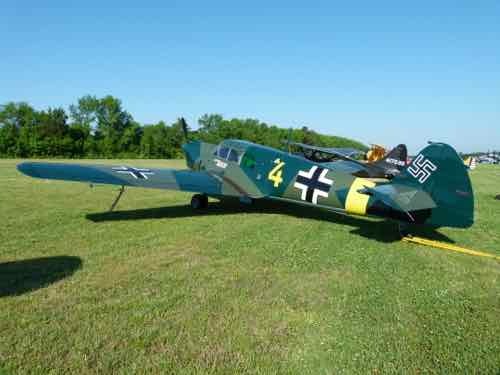 We missed the ME 262 because that plane can’t take off from the grass strip, and they had radio problems, so they couldn’t communicate and fly in…. darn! Guess that means we’ll have to go back! 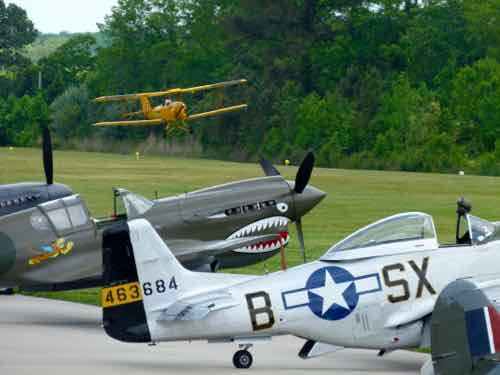 I wouldn’t say they do aerial reenactments like dog fights, but they do throw the planes up together. 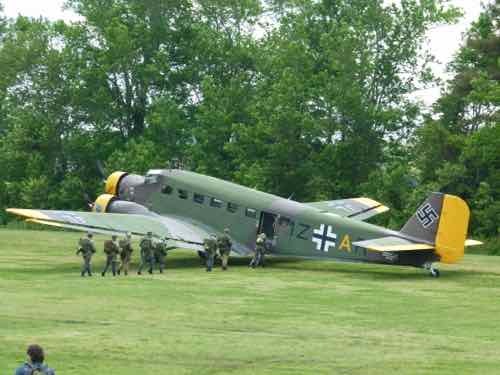 The Ju-52 had reenactors wearing WWII uniforms and they jumped using parachutes from the WWII era… I’m never going to jump out of a perfectly good airplane, but we were told that those old chutes were a bit tricky. 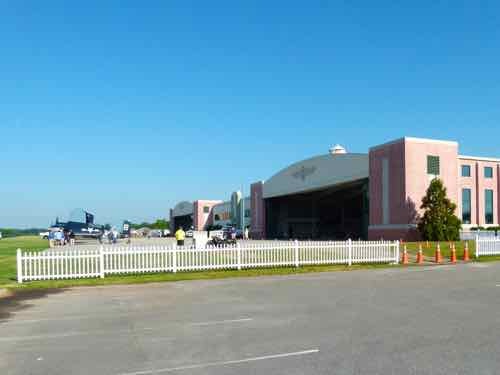 They have several hangars to explore on both non-show days and, on airshow days when they are moving planes, before the airshow starts. 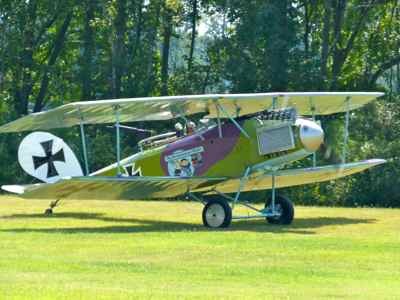 They have a Navy Hangar, an Army Hangar, a WWI Hangar... they even have an authentic German Luftwaffe Hangar which was relocated from Germany! 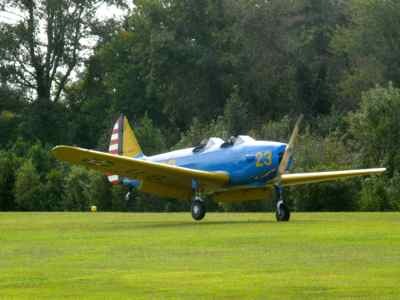 Part of the charm is that the museum has its own private GRASS airfield. 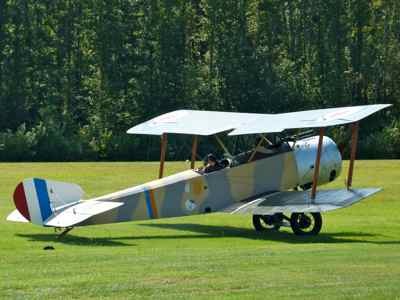 We mentioned re-enactments that take place during the airshows. 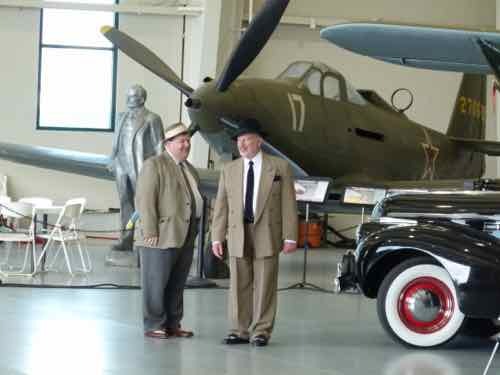 There is also entertainment in the main hangar with singers that recall the WWI or WWII era. Frank Sinatra like acts, Abbott and Costello and Boogy Woogy Bugle Boy singers. 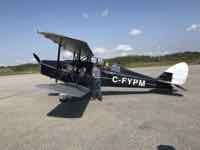 Checkout their website for information on the Military Aviation Museum Fighter Factory (which restore many of their aircraft) and the Aviation Institute of Maintenance (which is building WWI replicas). Open daily from 9-5. Closed Thanksgiving Day and Christmas Day. They say.... Just 3 ½ miles south of the Pungo stoplight. Look for the red and white checkered water tower to guide you. That’s a little simplistic…. it’s a long way from Virginia Beach proper, but you can find it. 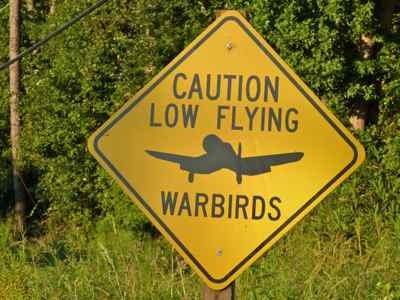 We look for the low flying warbirds sign! Head out of Virginia Beach on Pacific Avenue/Hwy 60. That bends and becomes General Booth Blvd. Proceed for several miles…. Turn left on Sandbridge Rd. Right on Princess Anne Road. Seems like there just couldn’t be an airport there… but there is. 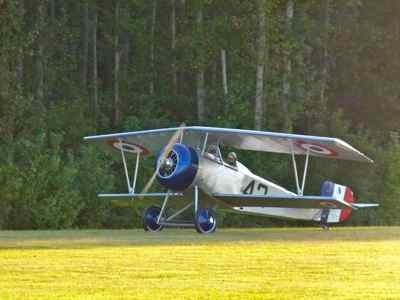 Remember it’s a private field… and a grass strip. 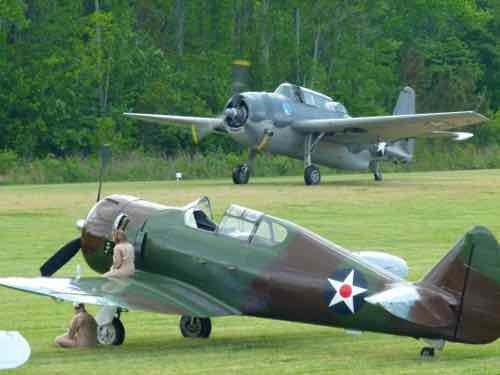 Adult Admission when we went for Warbirds Over the Beach was $25. 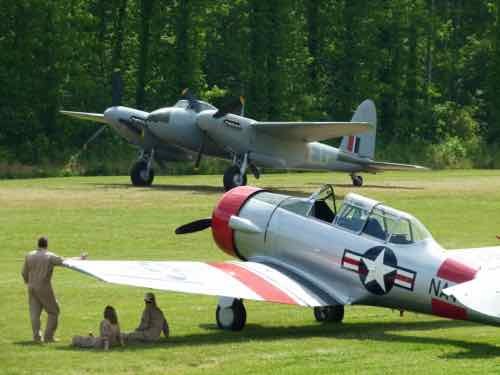 Admission to the museum on non-airshow days is $12 for adults. There are discounts for military, youth, seniors and groups. 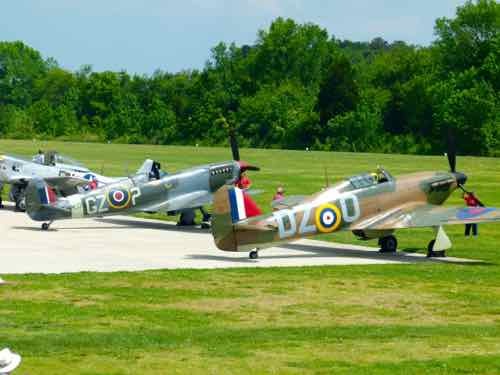 Check the Military Aviation Museum website for details. 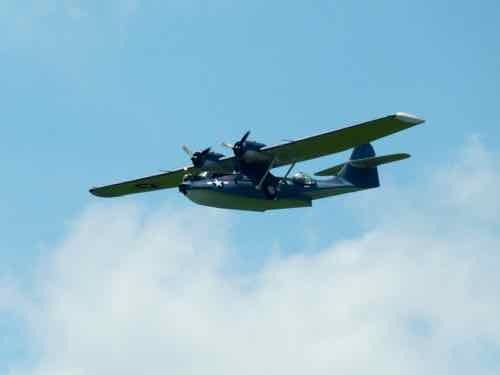 Why not combine a vacation at the beach (Virginia Beach) with a great airshow!